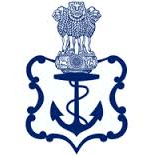 Indian Navy invited from unmarried Indian citizens for grant of Permanent Commission (PC) and Short Service Commission (SSC) in following branches/Cadre in Indian Navy for the course commencing June 2016 at Indian Naval Academy (INA), Ezhimala, Kerala.. Check below for more details. B.E / B. Tech in any discipline with first class / MBA with First Class / B.Sc /B.Com/B.Sc(IT) with first class and a PG Diploma in Finance/Logistics/Supply Chain Management / Material Management / MCA / M.SC (IT) with First Class. Height & weight: Male – 157 cm | Female – 152 cm with correlated weight as per age. Tattoo: Permanent body tattoos on any part of the body are permitted to candidates belonging to tribal communities/from tribal areas as declared by the Government of India. For other candidates permanent body tattoos are only permitted on inner face or forearms i.e. from inside of elbow to wrist end on the reverse side of palm/back (dorsal) side of hand. How to Apply : Candidates will be apply online through website www.jontindiannavy.gov.in. After the submission print two copies of the online Application Form having the system generated Application Number. One copy of this Application Form is to be duly signed and mailed (posted) to given below address along with Self attested photograph, Attested photo copies of 10th & 12th class certificates along with Mark Sheets, other educational certificates and mark sheets. Application to be sent by ordinary post only. (Speed post/courier and Registered post will not be accepted.) Application to be sent by ordinary post only. Speed post/courier and Registered post will not be accepted. A superscription is to be made on envelope : ONLINE APPLICATION NO. ________ APPLICATION FOR 10+2 (B.Tech)- Jan 2016 COURSE Qualification Percentage %. NCC 'C' Yes/No.